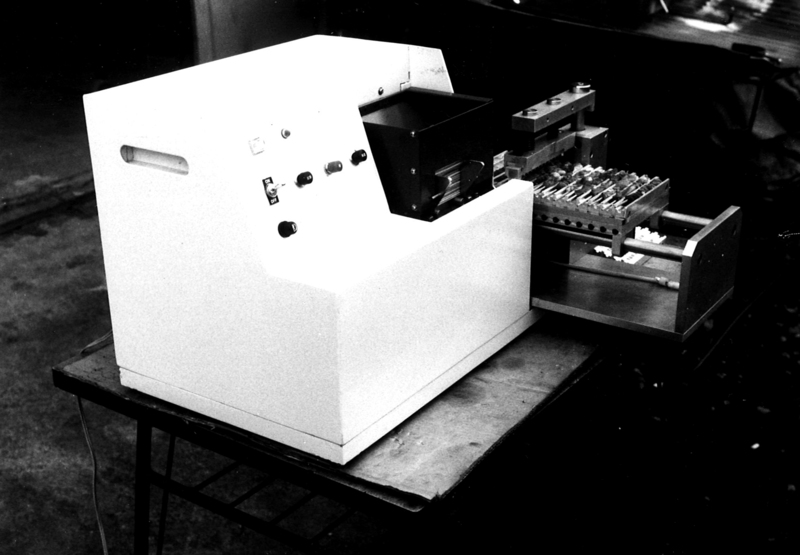 Our first machine. Our President has asked to create automatic skewer machine by Yakitori shop owner. There were some skewer machines available at the time but these did not work well enough to be popular. 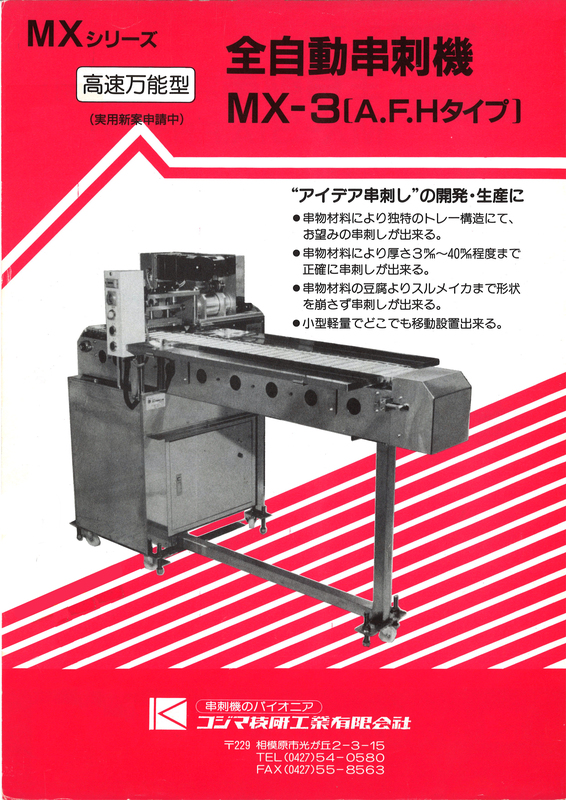 So, the quality of Kojima machine was recognized by many customers. Developed when Kojima Giken was established. 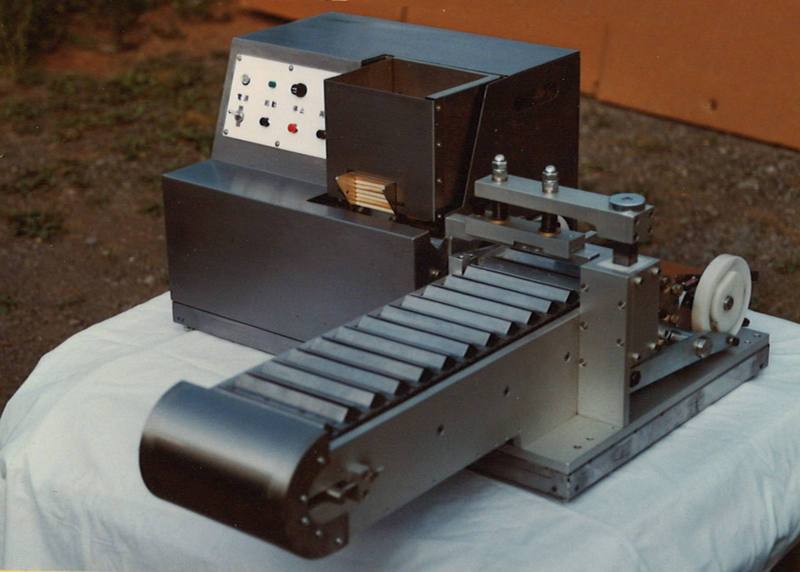 Improved version of MA102 which had a pallet to support 5 skewers worth of food material to have better productivity. Improved version of MA200. Now the pallet could support 10 skewers worth of food material for more productivity. 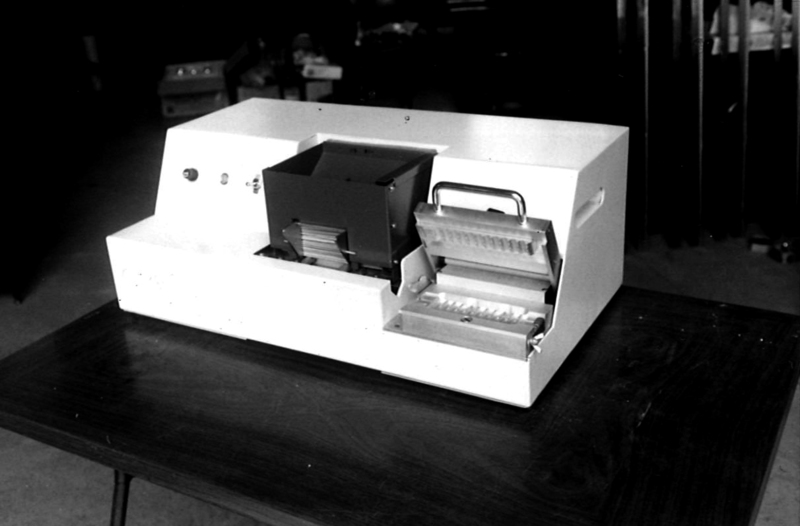 Customers who has been using desk top types asked for this mass production model. 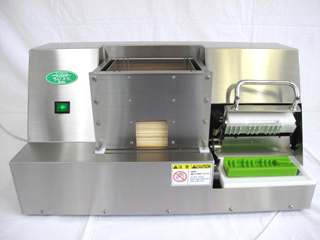 2500 skewers per hour could be produced with this machine. 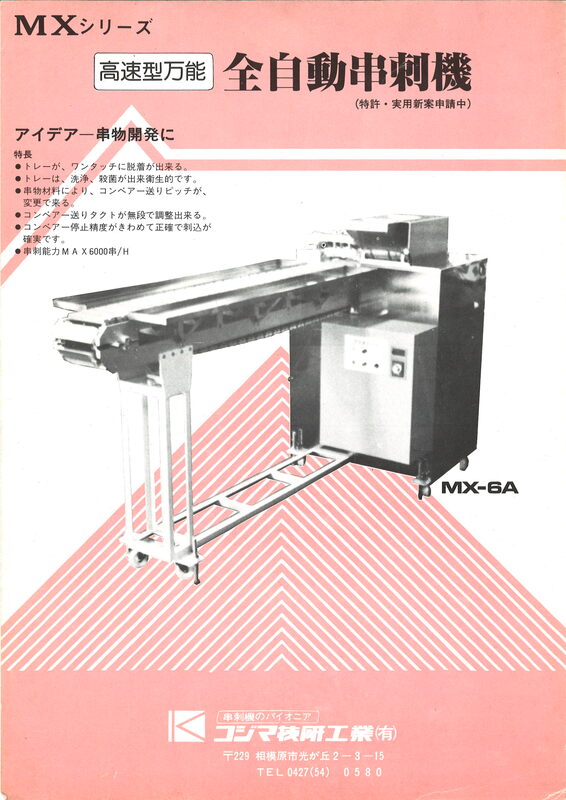 A brother machine of MX-6. 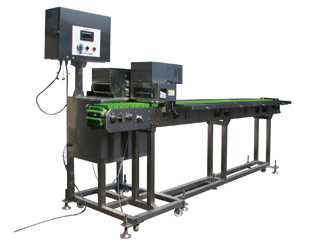 Parallel skewering devices made 5000 skewers per hour possible. First of this series was sold in 1990. 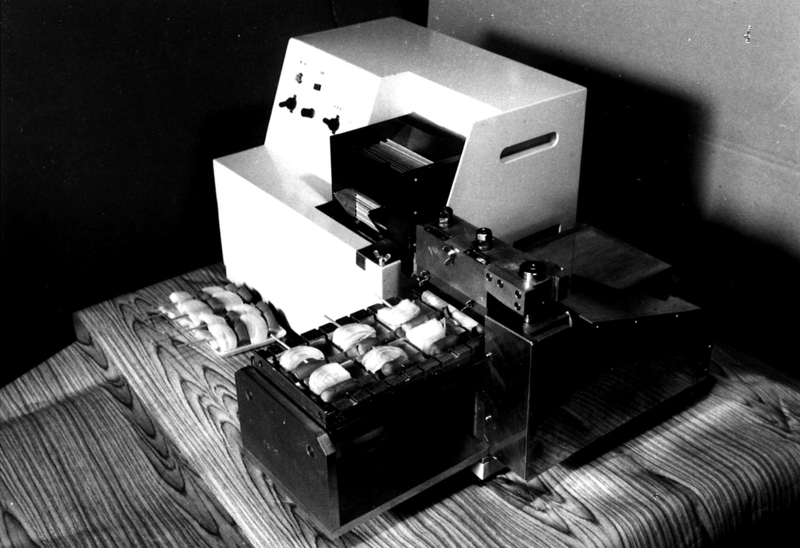 Improvement was made over the years and machines could take odd shape skewers. Further improvement was made which made this series reliable and very popular. New MY which is easy to use was introduced in 2012. Newly designed high speed pneumatic pressure drive is used and more productivity became reality which many customers wanted. 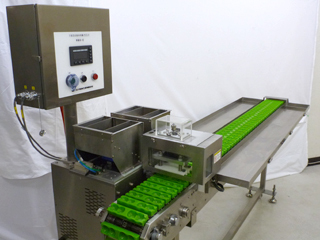 The continuous conveyer has introduced which brought low noise, low vibration and low energy consumption. 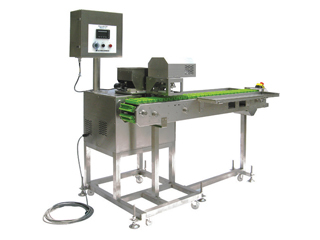 SW type which the conveyer can be removed and attached easily and T type which accommodate odd shape skewers are available.